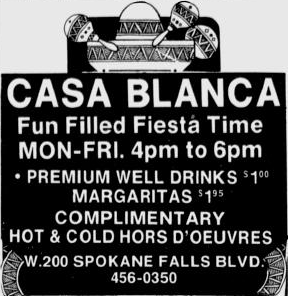 Casa Blanca - fun filled fiesta time. 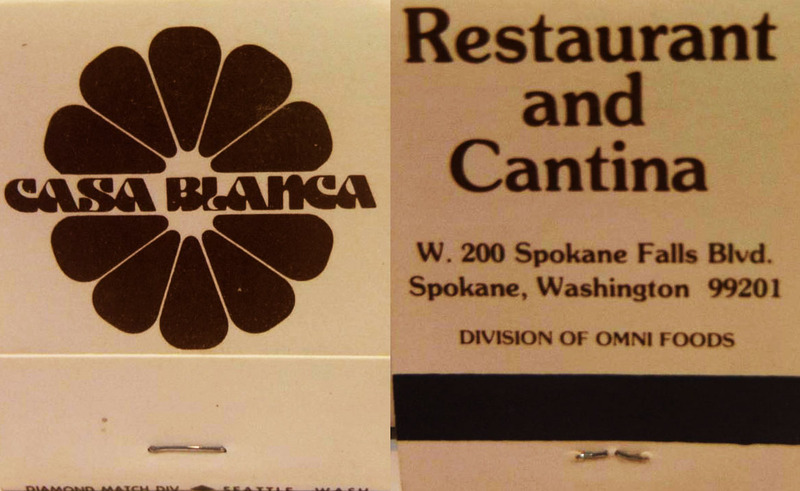 Premium well drinks, margaritas, complimentary hot & cold hors d'oeuvres. 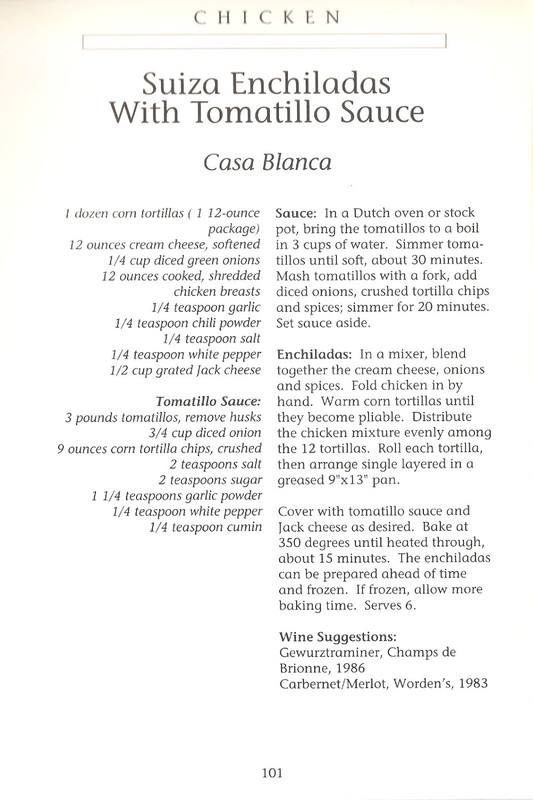 recipe 2006 - Spokane Cooks! Suiza Enchiladas with Tomatillo Sauce: corn tortillas, cream cheese, diced green onions, cooked shredded chicken breasts, garlic, chili powder, salt, white pepper, grated jack cheese, tomatillo, diced onion, crushed corn tortilla chips, sugar, garlic powder, cumin.